Jorge Rodriguez-Gerada is a man of great conviction and indistinguishable vision. He has a huge heart and always seems to be dropping the biggest projects, and his latest endeavor is no exception – entitled Wish. 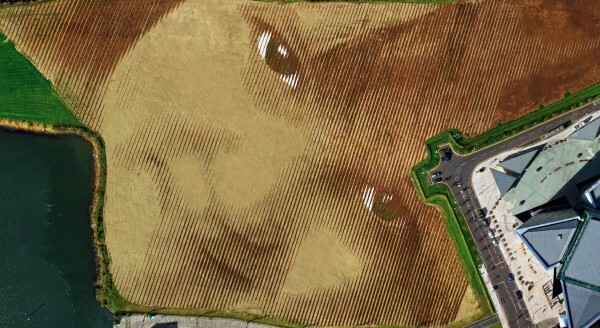 This enormous 11 acre piece of land art has been years in the making and is currently the largest portrait in the UK, depicting a native child and the magnitude of a single wish. 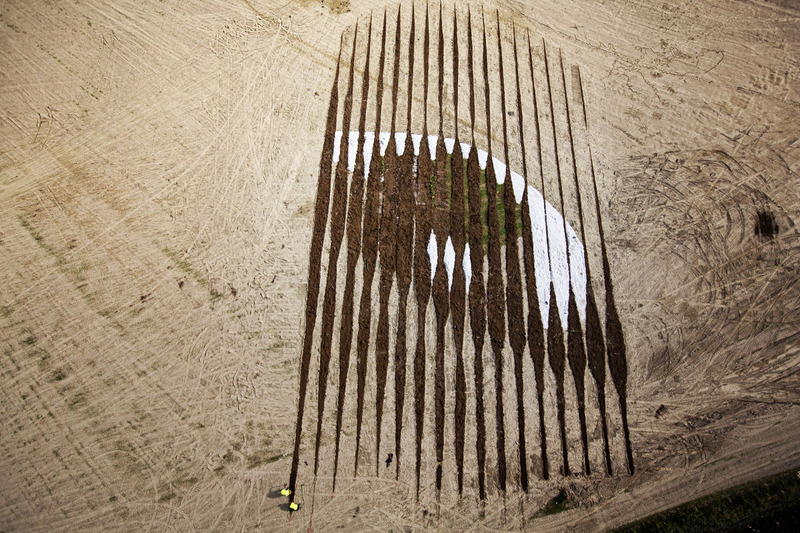 Phase 1 of the project consisted of Rodriguez-Gerada and his team of landscape architects utilizing the latest in GPS transponder technologies to lay out more than 30,000 wooden stakes to this gigantic plot of land. 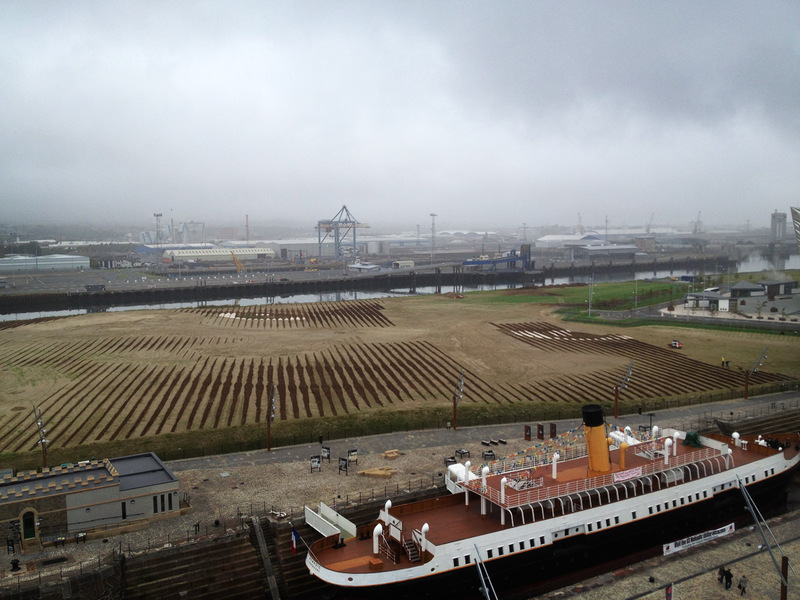 During phase 2, it began to get serious with the painstaking task of laying the ground work with more than 4000 tons of topsoil, sand, grass and stone. Just incase you don’t feel like doing that math that translates to roughly 8 million pounds of natural materials. 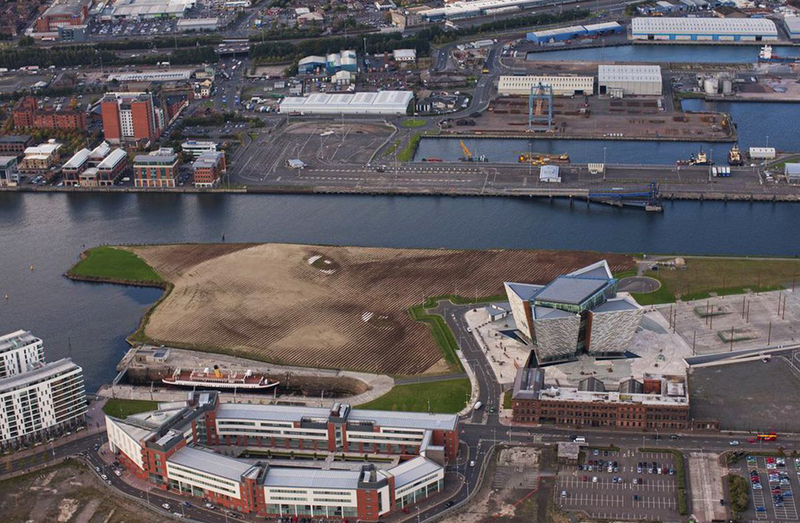 The actual project labor was completed in just 4 weeks, and sits in the Titanic Quarter in the city of Belfast. 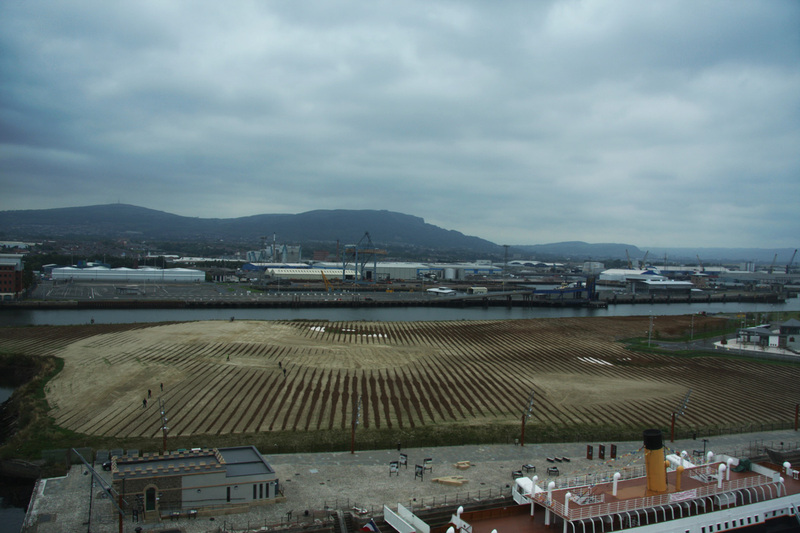 The project was supported by various local establishments and most notably with the help of McLaughlin & Harvey, P.T McWilliams, Tobermore and Lagan Construction who generously donated materials, tools, machinery, staff, soil, sand and stone. 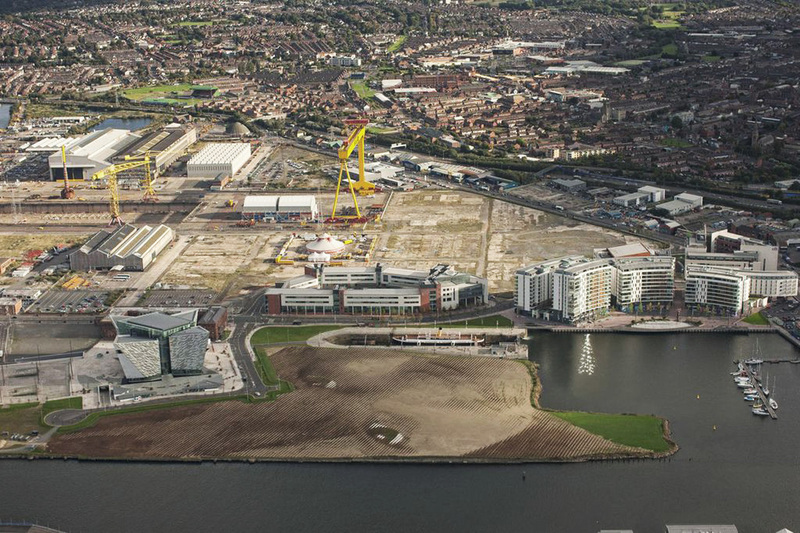 You can see the final work by airplane and the highest points in Belfast until December 2013. Categories: Features, Seen on Streets, Street & Urban Art. 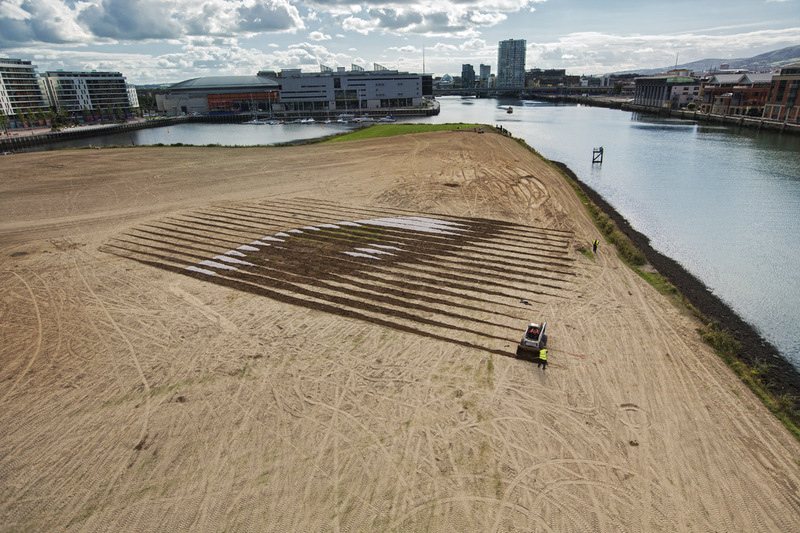 Tags: Belfast, Features, Jorge Rodriguez-Gerada, Seen on Streets, Street & Urban Art.